Giving any gift is better than nothing at all, right? Wrong. An impulsively selected and ill-considered gift may actually damage interpersonal relationships 1,2. So-called miscalibrated gift choice describes the discrepancy in thoughts and expectations of givers and recipients during the gift giving process 3 – with that in mind, here are some tips on how to overcome this challenge and choose something that will be loved everytime. Findings published in the Journal of Consumer Research4 demonstrated that a ‘more-is-better’ rule in gift giving is not necessary appropriate. People tend to average all pieces of information together to come to an overall evaluation. For example, in an experiment, participants who were asked to take the perspective of a hotel owner estimated their rooms were worth more when they featured both 5 star and 3 star amenities, whereas those who took the role of customers reported the opposite – they demonstrated greater willingness to pay when only the 5 star option was featured. In the authors’ own words, “mildly favourable information dilutes the effect of highly favourable information” 4. Considering our pervasive tendency to holistically ‘average’ information during decision making, our first recommendation is ‘less is more’ – simply give a single, well considered gift. This minimises the chances that a great gift will be devalued (and handily means you’ll save time and money too). Miscalibrated expectations of the gifting process mean givers are often not very proficient at choosing what recipients truly want. Evidence suggests that when choosing presents, givers place their focus on the desirability of potential gifts whereas recipients think more about their practicality 5. In one study, givers opted for gifts that were highly appealing but impractical – such as a gift certificate for an expensive restaurant that was located far away, while recipients preferred the more practical options – a gift certificate for a cheaper and closer restaurant. This effect occurs because givers tend to overemphasise the ‘moment of exchange’ of presents, so use qualities like desirability to guide their decision making, but recipients consider their ownership of the gift, so qualities such as usefulness and versatility are much more important 3. This mismatch is clearly extremely unhelpful when choosing which present to buy. Gladly, it is possible for givers to adopt strategies that enable them to better empathise with how recipients think. By imagining how you would use the gift, its long-term value or its use, givers can transfer their abstract thought processes into something more concrete 5. This way you’ll be more likely to choose a gift that is loved and appreciated. Although people typically opt to give material presents, giving experiences leads to happier recipients6. Studies suggest that experiential gifts are better liked because they seem unique and personal 7 and create a sense of anticipation 8. Recent lines of evidence also suggest experiential gifts strengthen social relations between giver and recipient 9. Experiments examining actual gift exchanges between pairs of friends found larger increases in relationship strength following experiential gift giving in comparison to material gift giving. This effect was driven by the recipients’ emotional reactions when consuming the gift, rather than when the gift was received. This forms our third and final tip – give experiences rather than material goods. We recommend choosing experiential presents for people you are close to, as you’ll have better explicit knowledge of their likes and dislikes. Finally, an article published earlier this year reported that simply adding “I bought the same one” during gift giving increased people’s liking for the gift – by a significant amount 10. The authors suggested that recipients perceive the gift as more considerate and thoughtful, simply because it is shared. While these findings could get us out of a lot of hard work for e.g. birthdays, it’s important that they are replicated elsewhere before we start adopting this strategy ourselves. consider arranging an experience or event for you to share together. 1Dunn, E. W., Huntsinger, J., Lun, J., & Sinclair, S. (2008). The gift of similarity: How good and bad gifts influence relationships. Social Cognition, 26, 469-481. 2Ruth, J. A., Otnes, C. C., & Brunel, F. F. (1999). 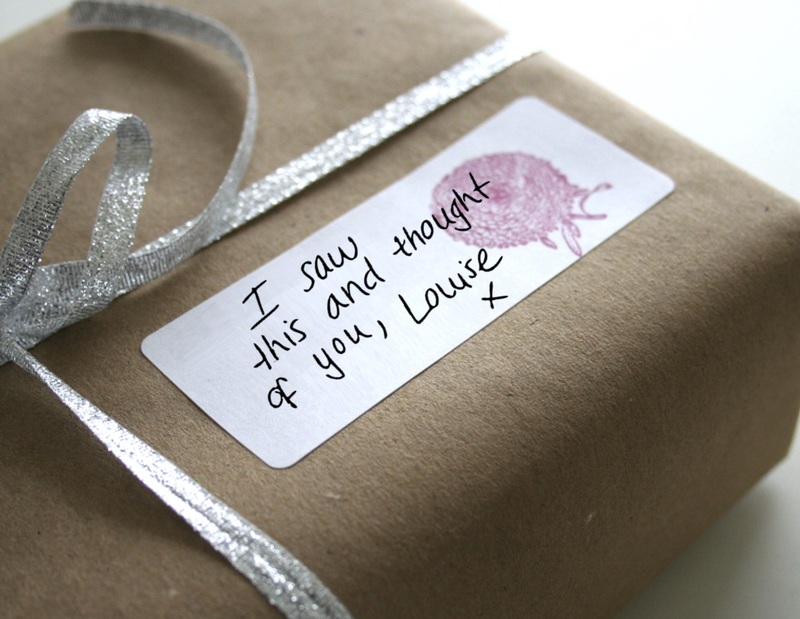 Gift receipt and the reformulation of interpersonal relationships. Journal of Consumer Research, 25, 385-402. 3Galak, J., Givi, J., & Williams, E. F. (2016). Why certain gifts are great to give but not to get: A framework for understanding errors in gift giving. Current Directions in Psychological Science, 25, 380-385. 4Weaver, K., Garcia, S. M., & Schwarz, N. (2012). The presenter’s paradox. Journal of Consumer Research, 39, 445-460. 5Baskin, E., Wakslak, C. J., Trope, Y., & Novemsky, N. (2014). Why feasibility matters more to gift receivers than to givers: A construal-level approach to gift giving. Journal of Consumer Research, 41, 169-182. 6Goodman, J., & Lim, S. (2014). Giving happiness: Do experiential gifts lead to more happiness? Paper presented at the Association for Consumer Research North American Conference, Baltimore, MD. 8Knutson, B., Adams, C. M., Fong, G. W., & Hommer, D. (2001). Anticipation of increasing monetary reward selectively recruits nucleus accumbens. Journal of Neuroscience, 21, RC159-RC159. 9Chan, C., & Mogilner, C. (2017). Experiential gifts foster stronger social relationships than material gifts. Journal of Consumer Research, 43, 913-931. 10Polman, E., & Maglio, S. J. (2017). Mere Gifting: Liking a gift more because it is shared. Personality and Social Psychology Bulletin, 43, 1582-1594.